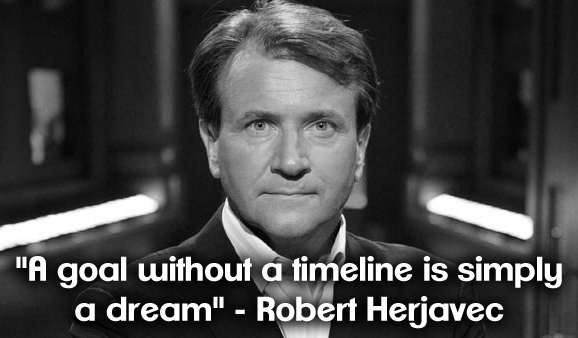 Robert Herjavec, "the son of an immigrant factory worker", has been one of the Shark Tank investors since the first episode. Robert Herjavec claim to fame in business is founding one of the biggest cyber security firms in the world, after previous successful business ventures. Robert Herjavec sits on the panel with the other sharks Mark Cuban (Kevin Harrington in Season 1), "Queen of QVC" Lori Greiner, Kevin O'Leary, Barbara Corcoran, and Daymond John. Robert Herjavec is usually more soft-spoken than cocky Mark Cuban and more nurturing than "Mr Wonderful" Kevin O'Leary. 1) "Not everyone is willing to work as hard. But that's the key. Everyone can do it. Everybody has the tools and the ability to get there." 2) "Tough times never last. Tough people always do." 3) "Without the ability to visualize a goal and believe it will be reached, nothing of substance will be achieved. Not by anybody. Not at any time. Not in any place." 4) "I think fear holds people back. I meet a lot of people who say 'Oh, money's not important to me'. And I say, that is absolute crap." 5) "So I think you've got to work hard, but you have to work smart." 6) "Every now and then in your life as you try to chase your dream you get to a crossroad where you have to make a decision. Which way are you going to go?" 7) "I don't look at failure as death. I don't look at failure as finality. I just look at it and pick myself up and say 'we shouldn't have done that' and move on." 8) "A goal without a timeline is just a dream." 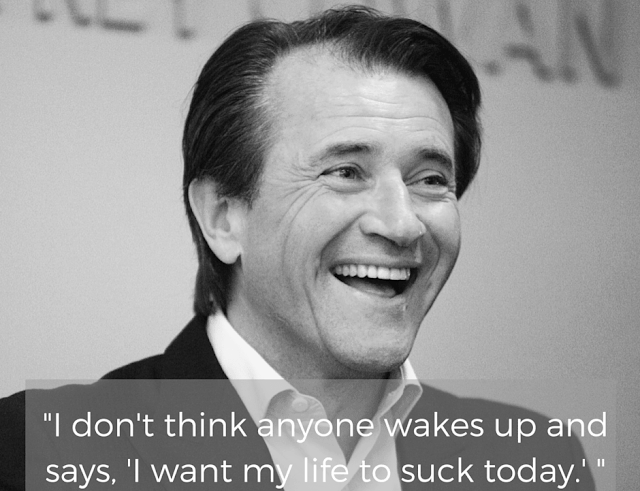 Thanks Robert Herjavec of all of the inspirational startup quotes! 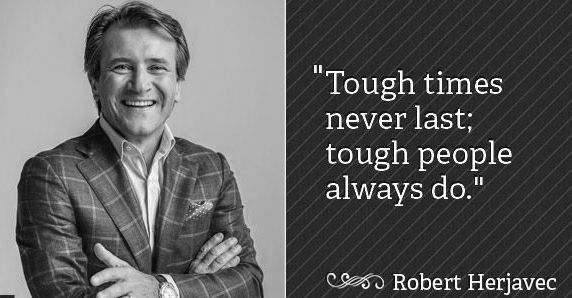 I hope you enjoyed these 8 great Robert Herjavec Shark Tank quotes! Great proof of concept, I think you'll be successful... I'm out! 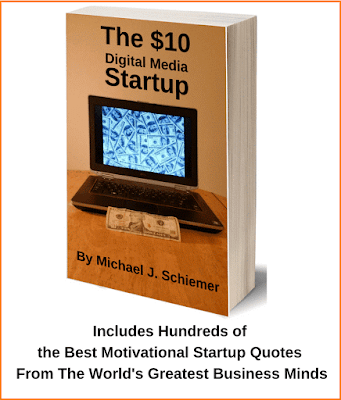 Want more Shark Tank Nation entrepreneurial wisdom and quotes?